The perfect choice for all sorts of climates, the 3-in-1 systems jacket from Nautica features a zip-off removable hood and quilted liner jacket for versatile protection and all-weather style. Front zip closure with covered placket. Zip-off removable hood. 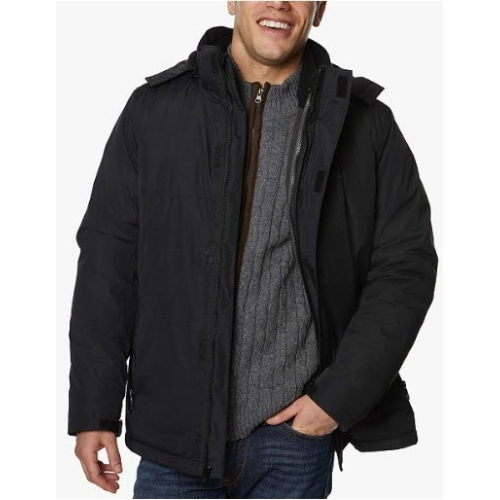 3-in-1 systems jacket includes quilted liner jacket. Two side entry pockets; one vertical chest pocket; one interior pocket. Shell: polyester; lining, fill: polyester. Machine washable. Imported.